Profile Response: LDS Humanitarian Center, Salt Lake City, UT | How Will We Live Tomorrow? I’ve met a disproportionate number of Mormons on my trip, not just in Salt Lake but also throughout the United States. It may be coincidence. Or it may that these family-centered, health conscious, missionary focused believers are more likely to engage with itinerant cyclists and invite them into their homes. Regardless, I can understand why Mormonism is one of the world’s fastest growing religions. The Church of Jesus Christ of Latter-day Saints offers an ordered worldview, purpose, and security. The Wasatch Range is an oasis of traditional family values, personal safety and comfortable affluence. Adherents consider it an earthly reflection of heaven. Detractors feel oppressed by its patriarchal hierarchy. Mormons take very good care of each other. The Relief Society, the largest woman’s organization on earth, provides material assistance to families in need. Church representatives also drop in, unannounced, to visit young mothers at home to encourage harmonious family life. Since the religion believes in living prophets, it provides direction in virtually every aspect of daily living, from dietary choices to pierced ears. 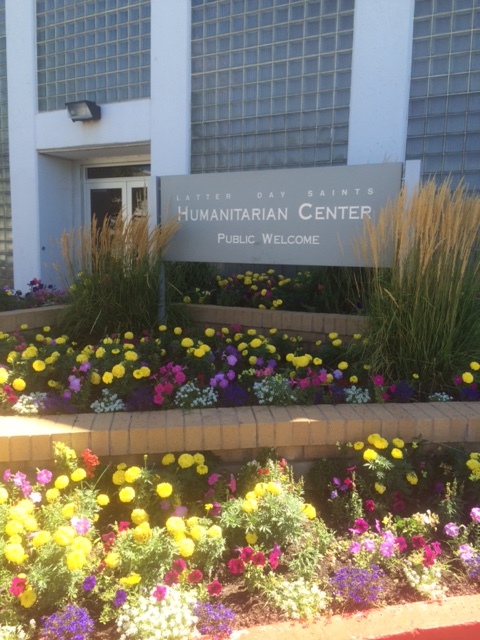 I wondered whether Mormon’s philanthropy extended beyond their fold, so when I passed the LDS Humanitarian Center in Salt Lake, advertising free tours, I decided to stop and explore. The LDS Humanitarian Center’s mission is to provide assistance to non-Mormons. 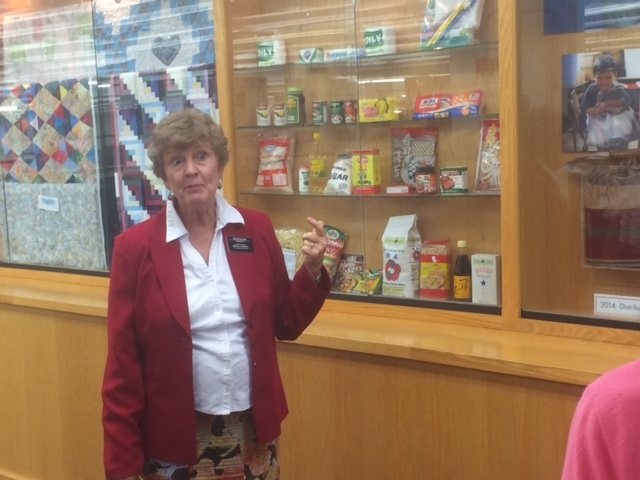 I went on a tour led by Elder Klein and Sister Klein, two long-time LDS members who served as missionaries in Africa. They described the LDS Humanitarian Center’s triple purpose to help the needy, provide opportunities for immigrants, and allow Mormons to grow through service. Every Mormon church has a monthly fast contribution. Local bishops allocate the funds collected, and many send funds to the Humanitarian Center. All other Center donations are 100% distributed; general LDS funds cover overhead. The primary activity in the Humanitarian Center is to collect and distribute clothing; the church receives over 39 million pounds every year. The best items are distributed to the 42 Deseret Stores (similar to Goodwill) although only 15% of that clothing is actually sold. The majority of donated clothing winds up here, where it’s sorted, processed into bales, and shipped to developing countries. The center also assembles other charitable items and processes goods made by local relief societies. In 2014, the LDS Humanitarian Center distributed 99,000 hygiene kits, 33,000 school kits, 57,000 wheelchairs, and 4,968 quilts. Sister Klein said, “In the United States we say we’re confined to a wheelchair. In developing countries, physically disabled people are liberated to a wheelchair.” She also explained that the Center is shifting from sending physical items to providing funds to developing countries where agents can assemble more culturally appropriate goods. About 170 immigrants, mostly refugees, staff the Humanitarian Center. 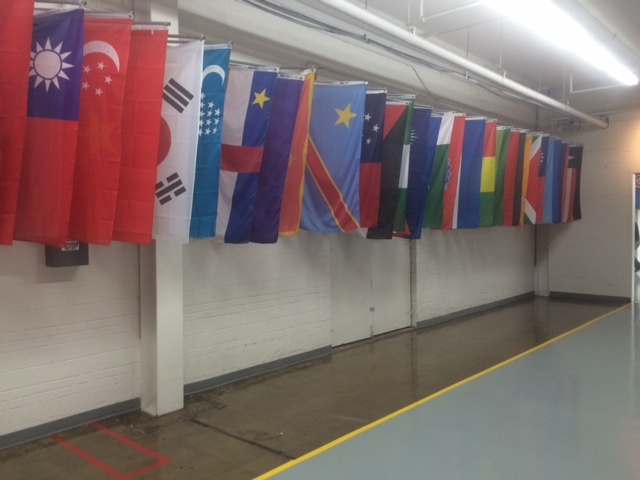 Workers come from 45 countries and speak 35 languages. They sort and package clothes four hours a day, and spend four hours learning English and receiving assimilation training. LDS provides housing assistance and social services for about a year. After that, most workers are ready to move on to other training. Like every philanthropic endeavor, the LDS Humanitarian Center helps others while enhancing the evangelical mission of the LDS Church. Abroad, it provides basic materials to people in developing countries while introducing millions to the Mormon Church. 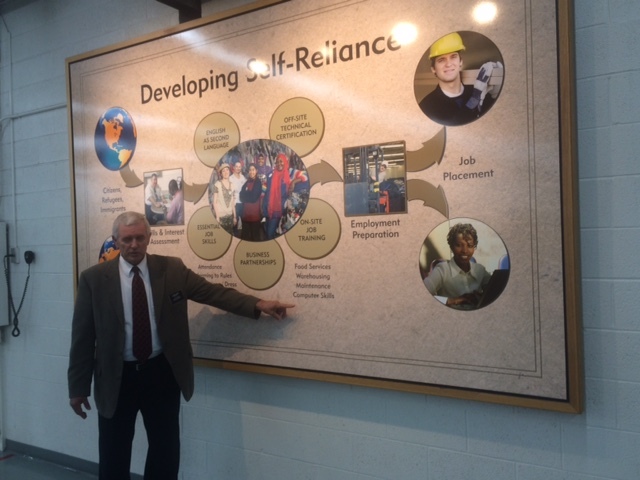 In Salt Lake, it provides immigrants work in conjunction with training that reflects Mormon ideals. This entry was posted in Responses and tagged Church of Jesus Christ of Latter-day Saints, LDS, LDS Humanitarian Center, Mormons, Salt Lake City. Bookmark the permalink.